Published by Salon just yesterday, Ralph Nader, accurately described as a “longtime crusader for the left”, was asked to comment on Palin’s September 3rd Indianola, Iowa speech with some surprising remarks. 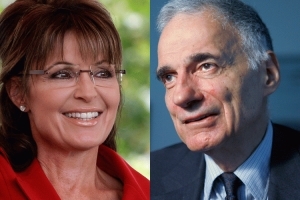 Ralph Nader hearts Sarah Palin? We decided to call the longtime left crusader about a speech Palin gave in Iowa earlier this month, one which seemed to mark the transformation of Palin from a standard-issue movement conservative to something more independent and more reformist. And Nader told us he liked what he heard. Some of the rhetoric was familiar. Palin slammed the “far left,” praised the Tea Party, and denounced the idea of more government spending. But there was also some refreshingly new material. She described a “permanent political class,” one that is hypocritical and devoted to personally profiting off of government. (“Seven of the 10 wealthiest counties are suburbs of Washington, D.C.,” she noted.) She spoke of “the collusion of big government and big business and big finance.” And she took aim at both parties for governing in service of their big campaign contributors. CPAC organizers invited Palin to deliver the closing-night keynote speech on Saturday Feb. 12, immediately following the announcement of the results of CPAC’s annual presidential straw poll, but after several days of negotiations, she declined. The former Alaska governor has a rocky history with the group. In 2010, she stayed away from the event citing the business dealings of the American Conservative Union and Keene, who is a lead organizer of the event. In 2009, while still serving as governor of Alaska, she initially accepted an invitation to speak on the conference’s opening day, but later dropped out saying that she had to attend to the “duties of governing,” according to a CPAC spokesman. She sent a taped message to the conference instead. 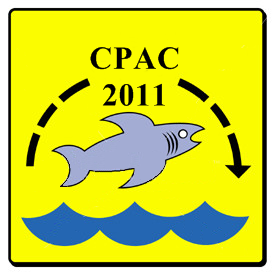 In 2008, CPAC organizer Lisa De Pasquale said that Palin had to drop out of CPAC “at the last minute.” At that point she had not yet been named Sen. John McCain’s vice presidential nominee, but was regarded as an up-and-comer in the Republican Party. This will be her fourth year skipping the event. While Palin will not be there in person, her political action committee, SarahPAC, is sponsoring a Diamond Reception on the CPAC’s opening night — Thursday, Feb. 10. Though a number of her potential rivals for the 2012 GOP presidential nomination will be speaking at CAPC 2011, Gov. Palin joins U.S.Senators Jim DeMint of South Carolina and Marco Rubio of Florida, the Family Research Council and the Heritage Foundation as prominent conservatives and organizations not attending this year’s conference. She’s in some pretty good company, in other words. David Solway: Sarah in 2012? Palin is neither a liar nor a parasite, but a truth-teller and an industrious worker—two attributes that have cost her dearly in a liberal environment dominated by special interest groups, entitlement seekers, political predators, fiscal sycophants, tax evaders, people addicted to welfare, single-parent families living off the dole, labor union apparatchiks, official and media appeasers in the “war against terror”—in short, the swarm of barnacles that have battened onto the ship of state. Historian and commentator Victor Davis Hanson concurs. In a summarizing article for Pajamas Media, he concludes that Palin’s being “a mom of five children flies in the face of the demography of yuppie careerism.” In the “binary world” of network columnists, late-night TV hosts and the culture of the left, “Sarah Palin is apparently all that they are not.” Moreover, Hanson points out what is palpably obvious but often unadmitted. “And how can it be fair that Sarah Palin seems stunning after five children when so many in the DC-NY corridor after millennia on the exercise machine and gallons of Botox are, well, ‘interesting looking’?” This latter phrase is the most tactful—and tactical—of satirical put-downs, and says volumes about unconfessed resentment. Palin’s undeniable beauty works against her, especially among the feminist sorority, no less than her candidness, moral rectitude and integrity of character feature as liabilities in the eyes of her detractors. Hanson believes that Palin is “scary not so much in 2012” as an antidote to Barack Obama, but that “she could be around—and around in an evolving way—for a long time to come.” Here I would be inclined to vary, however modestly, from Hanson’s analysis of the menace Palin represents to the liberal-left constituency. The veritable tornado of hatred and defamation to which she has been subjected argues something far more immediate in its implications. 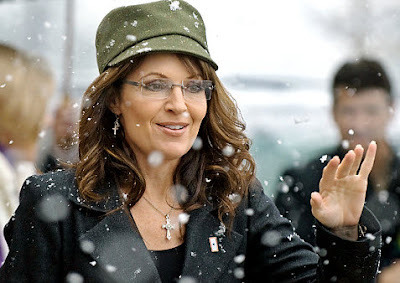 What the Democrats and their supporters earnestly fear is not only that Palin may be around for the indefinite future, but that she is indeed potentially electable in 2012 and must be stopped at all costs. This is perhaps the principal motive for so libelous a spectacle as the left’s all-out debauch of vilification. But will the strategy work? We need to remember that the liberal-left ideology which seems so potent and widespread in contemporary America is to a large extent the creature of a progressivist elite and its media organs, busy collimating their quarry. It does not speak for the vast majority of Americans but, as Arthur Brooks clearly sets out in The Battle, accounts for at most 30% of the nation. What he calls the 30% coalition, grounded in “European-style statism…expanded bureaucracies, increasing income redistribution, and government-controlled corporations,” advances an agenda that is not shared by the remaining 70% of the population. And it is precisely here, in the preponderant sector of the electorate, that Palin’s real strength lies. But this is to ignore the 70% majority of center and center-right Americans, many of whom have become more and more skeptical of the press and who are correspondingly fed up with the techniques of character assassination employed by the agencies of the generic left. Paradoxically, Palin’s electability can be reckoned as an inverse function of the virulent campaign intent on her delegitimation. The “war against Sarah” is a clear indication of the feasibility of her candidacy for the presidency. The greater the fury and bluster and dissembling she is met with, the greater the likelihood that she poses a genuine threat. One does not raise a mallet to crush an ant. As a writer for Commentary Magazine and its Contentions blog, Jennifer Rubin consistently defended Sarah Palin against the left’s attacks. When the news broke that she had been hired by the left wing Washington Post to write about the right, many conservative bloggers and pundits hailed the hiring as a sea change. Finally, they trumpeted, WaPo had obtained the services of a real conservative to write about real Republicanism and conservatism. And hey, after the Weigel fiasco, any conservative would be an improvement. We didn’t hail that particular bandwagon and ask for a ride, preferring instead to reserve judgment until after we had a chance to read Rubin’s Post postings for ourselves. Our skepticism was rooted in recent memory. The 2008 Republican primary race was not so long ago, and we recall that she was a big backer then of Rudy Giuliani, the most socially liberal of all the GOP candidates. We also recall that Rubin was especially critical of Fred Thompson, the only across-the-board Reagan conservative in the Republican presidential primaries. After reading what she has written in her first five columns for WaPo, we see that Jennifer Rubin has downgraded to version One-Point-Oh. She’s conservative on three legs of the four-legged conservative stool, but hold the social conservatism from her order, please. It didn’t take Rubin long to start running down Sarah Palin now that the commentator is of the Post. In just her fifth WaPo column, she starts to pick on Palin. According to Rubin, or at least the WaPo version of Rubin, the notion that Sarah Palin is the front runner for the 2012 GOP presidential nomination is just a liberal conspiracy because, you see, they want her to be the nominee, as she simply has no chance whatsoever of winning the general election, even against such a failed president as Barack Obama. Rubin hits all of the talking points from the elites of the left and the right – Sarah Palin has limited appeal among independents; golly, she sure did back some questionable candidates for the Senate, especially that awful Christine O’Donnell; her political judgment during a general election might be just too risky; most elected Republicans don’t think Palin is a front runner, etc. That last one is a real gem. Has Rubin asked “most” elected GOP officials or conducted a survey? We don’t think so. Oh well, “when in Rome…” or perhaps better said, “while at the Post…” Are we accusing Jennifer Rubin of changing her own narrative to try to get the “progressives” who account for most of its readership to read her column? Not substantially, no. Only just a little. Actually, for Jennifer Rubin its more a case of her reverting to type rather than making a compromise. She’s a Rudy Guiliani conservative again. Apparently that’s not too conservative for either the people who buy and read the Washington Post or those who run it. And since being negative on Sarah Palin is part of the Post’s program, it’s good for Rubin that she has no problem with that. It didn’t seem to bother her to go negative on Fred Thompson three years ago, so this Palin-marginalizing should be a piece of cake. I am sure over the next few days there will be far more eloquent and talented authors than myself who will be able to articulate the gargantuan of a canyon our president continues to carve in the middle of America’s heartland. 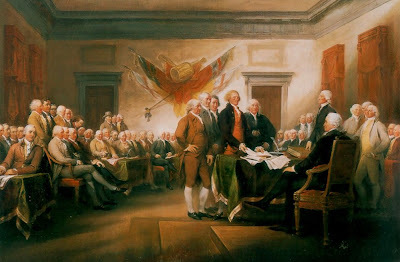 What started as a crack has turned into a gorge of division that our nation has not experienced in a long time. Sometimes, a shake up is necessary….this however, is a shakedown. I was horrified…yes, an appropriate word…to watch today as our president stood shoulder to shoulder with Mexican president Felipe Calderon and effectively became a turncoat against a part of our Union. When did it become acceptable for a president of the United States of America to join another country in tearing down and degrading one of our own member states? It just feels treasonous to me. It’s been debated whether any of the critics of the Arizona immigration law SB1070 have even read it in full. It’s only fifteen pages…far less than the two thousand plus of the health reform bill. 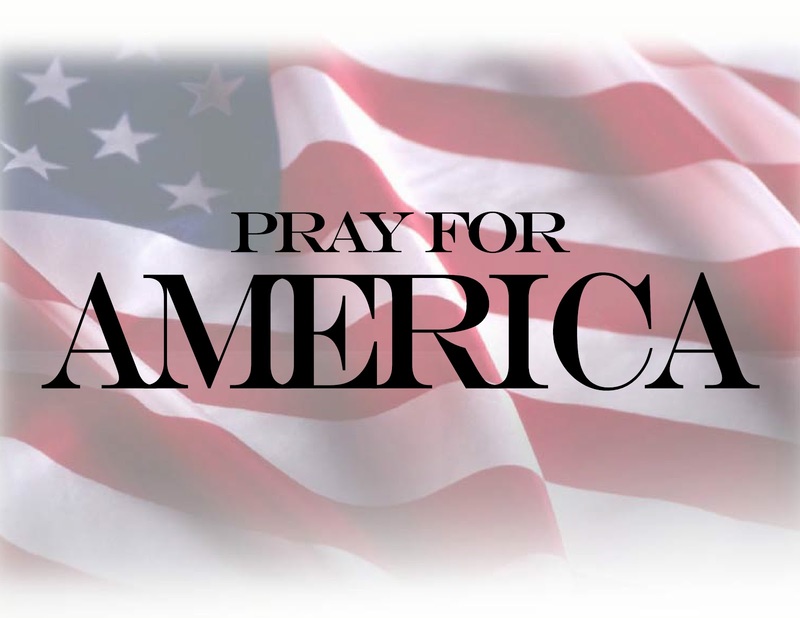 Why don’t some of our elected officials and their paid staff take a minute between tee times and extramarital affairs to find out what the heck is going on in America? 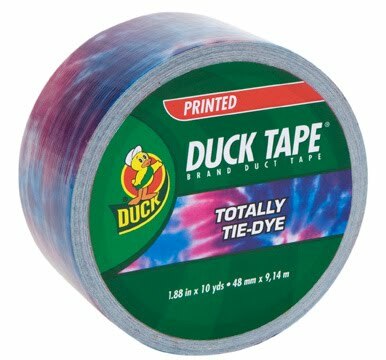 I’d love to see a reality show where the citizens of Arizona take a DC hack to the field and let him or her experience the violence and fear of living beneath a reign of terror due to illegal invasions. This is not about preventing some poor Mexicans from working on farms…this is about national security with a gaping border allowing drug cartels and terrorists from other countries free access. Seriously, what is wrong with our president?! 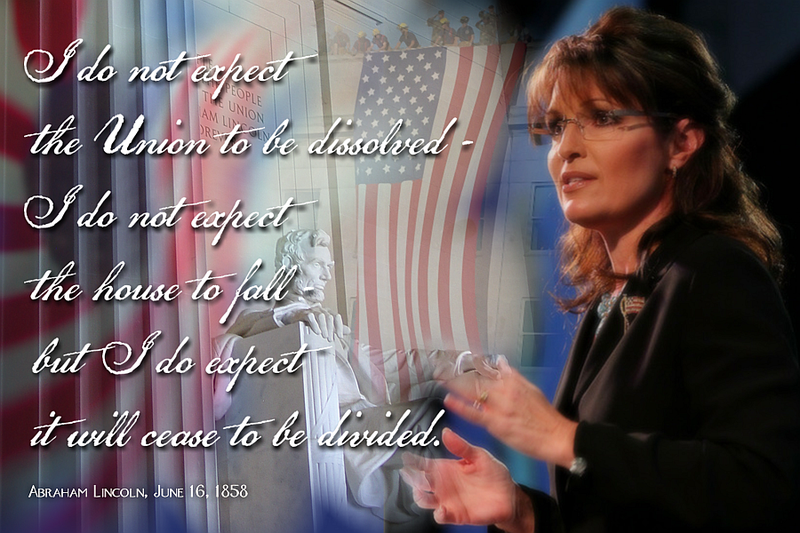 When Governor Palin said, “Politically, if I die, I die,” it was with the understanding that even if she never ran for an office again, it wasn’t going to stop her from standing up on her soapbox, wherever it might be stationed. I’m thankful for that and how she has stood up for the state of Arizona and their right to protect themselves, with no apology. She isn’t alone. There are many in the same fight for our country, and she is quick to acknowledge them. One thing though that has been distinct in Governor Palin’s approach is how she has been a unifier among Americans from all walks of life. Understand that while Sarah Palin has never backed down from pointing out the wrongs being done by President Obama and his administration, she has also never retreated from associations many, even in her own party, see as pariahs. Folks that are often categorized as rednecks, teabaggers, and Bible thumpers will find a friend in Governor Palin because she sees them as Americans just like any others, not freaks that liberals think necessary to make fun of and rant against. Not stopping there, she has strong supporters across all racial, religious, and social lines…Americans are Americans, and they all deserve Constitutional respect in her eyes. This is a truth that the left has not figured out. Instead they constantly moan and ask, “Why does anyone listen to her?” Or my all time favorite, “Her kids are just being used as props.” Listen up! As a mother of four, I can tell you it is far easier to leave the kids at home. Far. Easier. Why does she do it? The same reason I drag mine around…I love them, and I want them to experience things they may never get another chance to do. Anyway, lest even one politician think that these apparently delusional Palin supporters I speak of are far and few between, do allow me to point out that they make up workers from every marketplace and station in life you can name….from Wal-mart cashier to successful business owner to stay at home mom…and they all have votes. They are many. You are few. Don’t say you didn’t know. Just told ya. Right here. According to an online dictionary, “Conflation occurs when the identities of two or more individuals, concepts, or places, sharing some characteristics of one another, become confused until there seems to be only a single identity — the differences appear to become lost.” In my opinion, conflation has occurred with the identity of President Obama. He is synonymous with a chisel and hammer, dividing and separating our country into sides so diametrically opposed to one another that it seems nearly impossible to overcome. But what I can hold onto is that conflation has also occurred with the identity of Governor Palin. She has become synonymous with open arms, the heart of a giant, and the courage to be the mama grizzly that says to us, “Wait a sec, let me eat this intruder, and then we’ll move along.” Sarah Palin is not anti-immigrant, anti-people different than herself, or even anti-vegan. What she does promote is national security, common sense, and freedom based on our Constitution. What can possibly be wrong with those things? As the Going Rogue book tour ends, I want to thank everyone for their outpouring of support. At every stop along the way my family and I were treated like members of your family and I can’t tell you how honored and thrilled I was by the opportunity to meet so many of my fellow Americans! I’ve attached a link to some of our favorite photos from the tour. They reflect the warm feelings and energy that made each of the book signing events so incredibly moving. After all our travels, it’s even more obvious to me that the winds of change are blowing strong. At every stop people talked about the need to take our country back. So let’s do it! 2010 is just around the corner and with it will come one of the most critical elections of our lifetime. With important House and Senate races across our nation and dozens of gubernatorial races we have the chance to make a positive difference throughout our country. From my family to yours, we wish you a very Merry Christmas and a Joyous New Year.